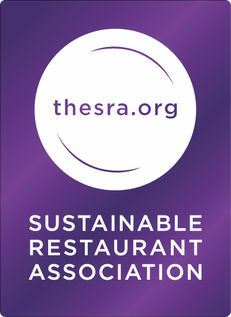 The Sustainable Restaurant Association: Helping our restaurant members become global leaders in sustainability. Simply, we’re a not for profit membership organisation helping restaurants become more sustainable and diners make more sustainable choices when dining out. We help restaurants source food more sustainably, manage resources more efficiently and work more closely with their community. And we help diners identify those restaurants doing the right thing. So, whether a diner’s sustainability concerns are about Sourcing, the Environment or Society, the SRA and its members are committed to a change for the better.